Australia Post’s e-parcel system is notoriously clunky to work with. This is something online retailers have endured for years. NOW Solutions has developed an eParcel automation which takes all the manual work out of the process. 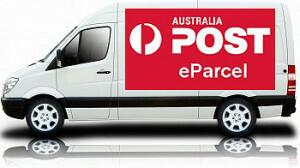 We send a branded emails including AustPost tracking links to your customers. You only need to check the consignment in eParcel … we take care of the rest. Greater efficiency – pick & pack not copy & paste. Time to implement is about 3-4 weeks. For more information, please contact us online or call us for on 03 9820 2111.